Yaba College of Technology, YABATECH Full Time Admission List for HND Students for the 2018/2019 Academic Session Out [PDF Download]. The Authorities of the Yaba College of Technology, YABATECH has released and uploaded the admission list of candidates admitted into the various HND Full-Time Programmes for the 2018/2019 Academic Session Out. 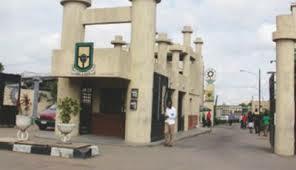 Candidates who applied for admission into the YABATECH HND Full-Time Programmes are to check and confirm admission status online. See Also: YABATECH 1st Semester Resumption Date 2018/19 | Full & Part-Time Students. SEE ALSO: YABATECH Acceptance Fee & Payment Guidelines 2018/2019 | ND & HND.